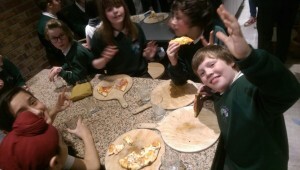 Hillhead Primary School Glasgow » P7 Buddy Treat! Hillhead Primary recognises the hard work and commitment of our Primary 7s whilst ‘Buddying’ infant children in the playground at break and lunch times. Each week a Buddy of the Week is identified either by staff or children and presented with a certificate at assembly. In January we took all of our Buddy of the Week winners from this academic session to La Favorita on Gibson Street to make, fire and eat their own individual pizzas. 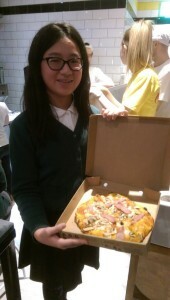 A great time was had by all with prizes handed out to the best pizza makers. Well done and keep up the hard work!